This VTech Star Wars Stormtrooper Digital Camera is an absolute blast. So much more than a camera – there are games, editing and fun voice changing features. 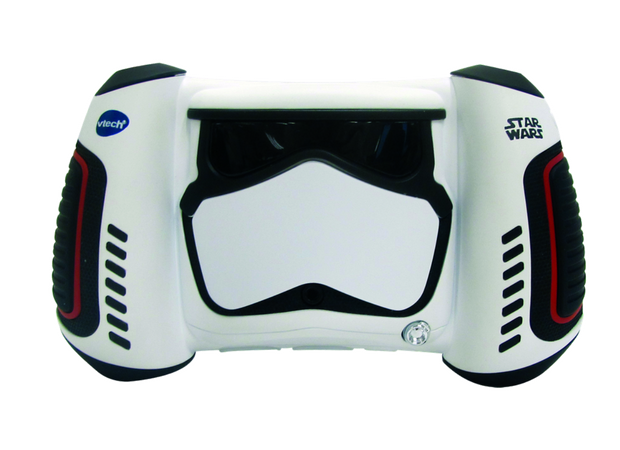 TheVTech Star Wars Stormtrooper Digital Camera is ultra-tough and is designed to withstand any dropping your little Stormtroopers may inflict. With lots of great STAR WARS™ stamps and frames, this 2MP camera with 4x zoom can take photos and movie clips and add fun STAR WARS™ themed effects. My favourite is the voice-changing feature, which had our whole family in stitches. But there’s more – with three fun games included: BB-8 run, First Order Escape and Fighter Battle will keep any young fan busy. I got the kids together to produce a video review of the VTech Star Wars Stormtrooper Digital Camera. I’m actually pretty impressed with this video the kids did. It explains all of the features and shows them in action. It’s beautifully edited thanks to my teenage (YouTube obsessed) son. 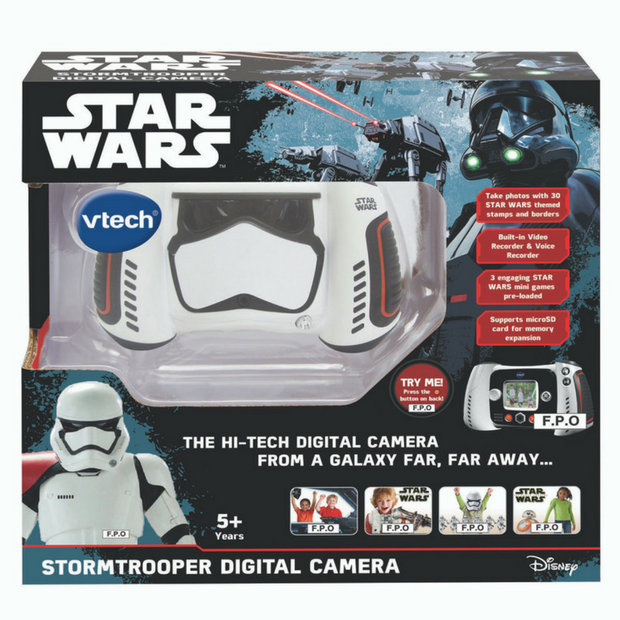 The VTech STAR WARS™ Stormtrooper™ Digital Camera, RRP $89.95. Available from Toys R Us plus selected toy retailers.